POLL: Favorite Tech N9ne Music Video? The release of Tech N9ne’s “He’s A Mental Giant” music video brings with it a new era in the Kansas City King’s career. The larger than life video from All 6’s And 7’s was the most expensive ever produced by Strange Music, and with this being Tech’s biggest album yet, there was no room for error. Tech has always understood the power of a good music video. Since the days of Absolute Power, Tech has released several music videos to promote his best selling albums. From “Red Nose” to “Leave Me Alone”, Tech’s music videos are some of the most unique in the industry today. With the release of “He’s A Mental Giant” still going strong, we woud like to know what your favorite Tech N9ne music video is. Vote below for your favorite Tech N9ne music video. 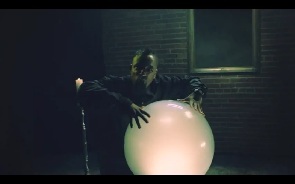 Favorite Tech N9ne Music Video? Click here to pre-order Tech N9ne’s All 6’s And 7’s, featuring “He’s A Mental Giant”. “He’s A Mental Giant” was produced by Seven.